Expedited pickup & delivery is an option you will have when scheduling your auto transport. Estimated pickup time on a standard car transport is 1-5 days. Expedited pickup can be scheduled for an additional fee, depending on your specific auto shipping needs. 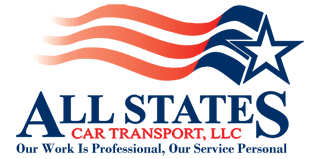 Estimated delivery times vary; call a Post Oak Auto Transport specialist today to answer any questions you may have about expediting your auto shipment or apply online for a free quote. Expediated Car Shipping	Overall rating:	4.7	out of 5 based on 9	reviews.